starting from an article in the ROLLING STONES magazines, about the best 100 guitarists in the world, I discovered that at least half of them were total strangers to me. So I decided to find out more about them and share everything with you. 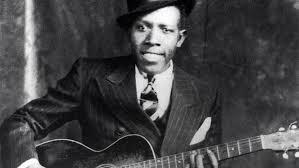 Today I will write about the artist who’s original or adapted songs constitute the foundation for all modern blues and rock. Artist such as Eric Clapton, Keith Richards and Jack White declared themselves as spiritual descendants of him. 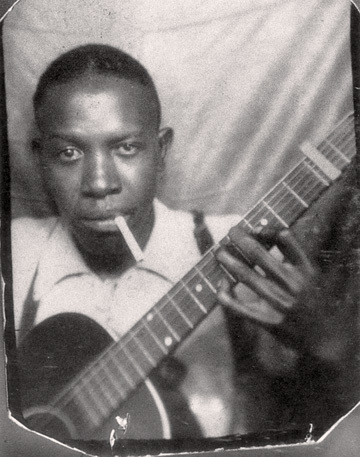 He recorded twenty nine songs between 1936-1937 and the legends say that he made a pact with the devil in order to be able to play the guitar the way he did. He died in 1938 as he was poisoned by a jealous husband. He is also known as the undisputed king of the Mississippi Delta blues singers. He is also considered one of the most influential voices in American music. Reblogged this on aLive Reports.